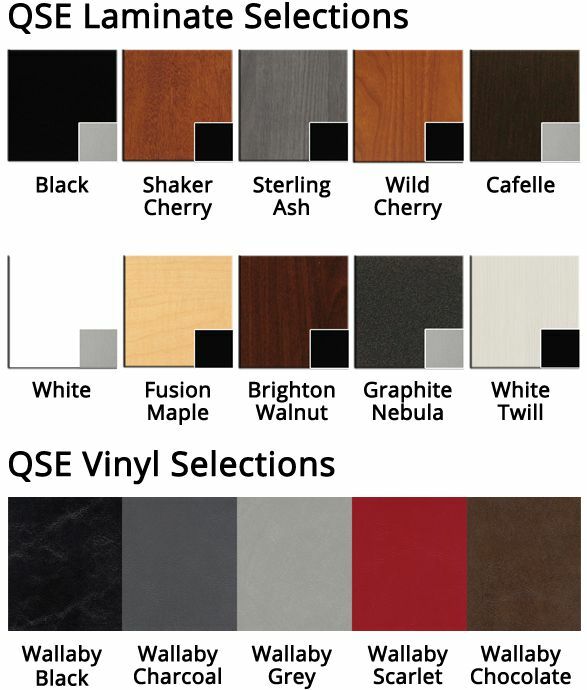 Collins QSE cabinetry is manufactured in Cafelle, Shaker Cherry, Limber Maple, Matte Black, Graphite Nebula, Brighton Walnut, Wild Cherry, and Fusion Maple laminates. QSE seating is manufactured in Black, Charcoal, Chocolate,and Camel upholstery. Plus, another 85 UPHOLSTERY and 49 LAMINATE selections can be special-ordered which takes a little longer and cost 10% more.